He says some of P&G's best performing brands have the most gender-equal campaigns – Always Like a Girl, SKII Change Destiny and Olay Live Fearlessly, as well as Tide, Ariel, Dawn and Swiffer which show men sharing the load in household chores. "It's clear that promoting gender equality is not only a force for good, it's a force for growth," Pritchard adds. The Queen Collective: Oscar nominee and winner of a Golden Globe, Emmy and SAG Award, Queen Latifah, aims to accelerate gender equality behind the camera. P&G and The Queen Collective, with the support of industry giants like Wieden+Kennedy, are launching a platform for female directors to produce their films. Katie Couric Media: The award-winning journalist's latest undertaking will make a team of women their backbone to produce stories in various formats with the help of P&G and ANA. Free the Bid: The organisation was founded in response to Alma Har'el's personal experience towards the lack of opportunities for women directors in advertising. P&G has pledged to involve a female director on a triple-bid commercial project with Free the Bid. In addition, P&G with its largest partner Publicis, is also dedicated to help Free the Bid's expansion to 20 countries worldwide. In March this year Free the Bid Australia launched a directory of more than 100 female directors working in Australia in the film, TV and advertising world, as a way to raise the profile of women in the field and tackle inequality. Procter and Gamble (P&G) has partnered with major media and entertainment bodies to encourage gender equality in advertising, media and the society. To highlight female talent in the industry, the world's biggest ad spender has joined forces with the Association of National Advertisers (ANA) and the UN Unstereotype Alliance. It's also involving advertisers and agencies to help deliver social change. According to ANA's #SeeHer study, it was found that women are negatively portrayed in 29% of ads and continue to be marginalised behind the scenes. Only 32% of chief marketing officers, 33% of chief creative officers and just 10% of commercial directors are female. This issue persists despite the fact that gender-equal ads perform 10% higher in trust and 26% higher in sales growth. Providing equal opportunities to women is at the core of P&G's initiative. 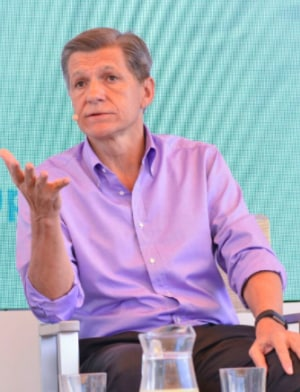 P&G chief brand officer Marc Pritchard says gender equality is good for society and business. “We are committed to do our part with meaningful actions to advance gender equality in advertising, media and the creative pipeline in the next five years," Pritchard says.